The rumors that have been circulating recently are true. The episodes referred to previously by LucasFilm as "Bonus Content," are now officially labeled as the "Sixth and Final Season, 'The Lost Missions.'" "The Lost Missions" will include 13 episodes, as reported via the German sources. The official press release does not include all of the details about the episodes, but it seems we can rely on the info previously reported. There is no news on whether these episodes will be released on DVD or Blu-Ray at this time. In this agreement, Netflix has also have a multi-year exclusive for streaming of the entire Star Wars: The Clone Wars catalog, including the movie, seasons one to five, as well as some director's cut episodes. USA Today also posted a video featuring Yoda and the spirit of Qui-Gon Jinn. The full LucasFilm press release is listed below. The Galactic Republic, Disney/ABC Television Group, Lucasfilm, and Netflix Inc. today announced the highly anticipated debut of the sixth and final season of the Emmy(r) Award-winning series Star Wars: The Clone Wars exclusively to Netflix members in the US and Canada on Friday, March 7. 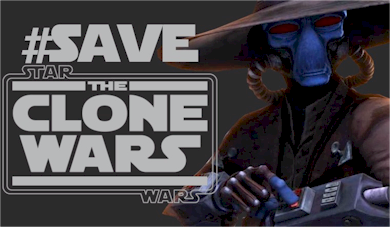 Accompanying the 13-episode new season dubbed "The Lost Missions" will be the entire Star Wars: The Clone Wars saga, which includes several director's cut episodes never seen on TV as well as the feature film. This multi-year agreement also makes Netflix the exclusive subscription service for the entire Star Wars: The Clone Wars series. In these eagerly anticipated episodes of Star Wars: The Clone Wars, some of the deepest mysteries of the conflict between the light and the dark sides of the Force are revealed. An intrepid clone trooper discovers a shocking secret, Anakin Skywalker's closest relationship is tested to its limits, and what Master Yoda discovers while investigating the disappearance of a Jedi could forever change the balance of power in the galaxy. 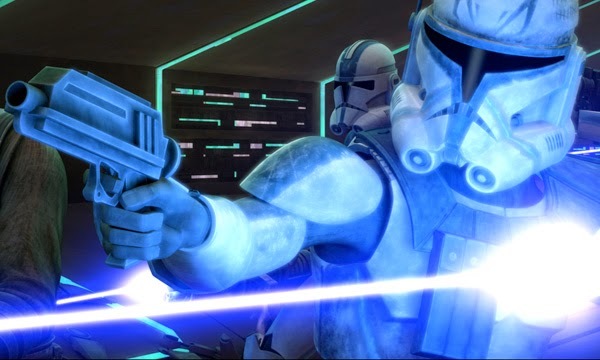 Fans will not only be able to watch the thrilling finale, they'll be able to see more of Star Wars: The Clone Wars than ever before as Netflix will also stream the director's cut of seasons one to five. "Stars Wars is one of the most iconic franchises of all time and this series joins a long line of Disney content that Netflix members are and will continue to enjoy for years to come," said Ted Sarandos, Netflix chief content officer. "The Clone Wars marks an important moment as Netflix welcomes more and more first-run content from The Walt Disney Company and its subsidiaries." "please have Season 6 released also on blu-ray, pleeeeeeeease!"